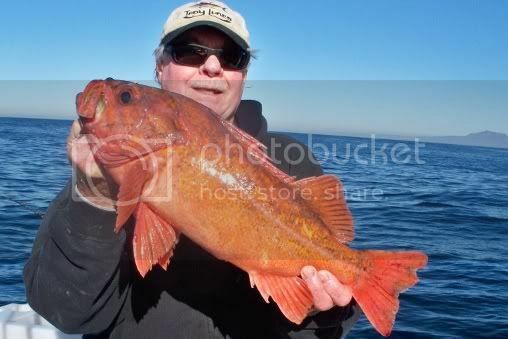 Last Call to scratch that Rockfish itch, tomorrow at midnight they become no take until the season reopens on March, 1st, 2012. 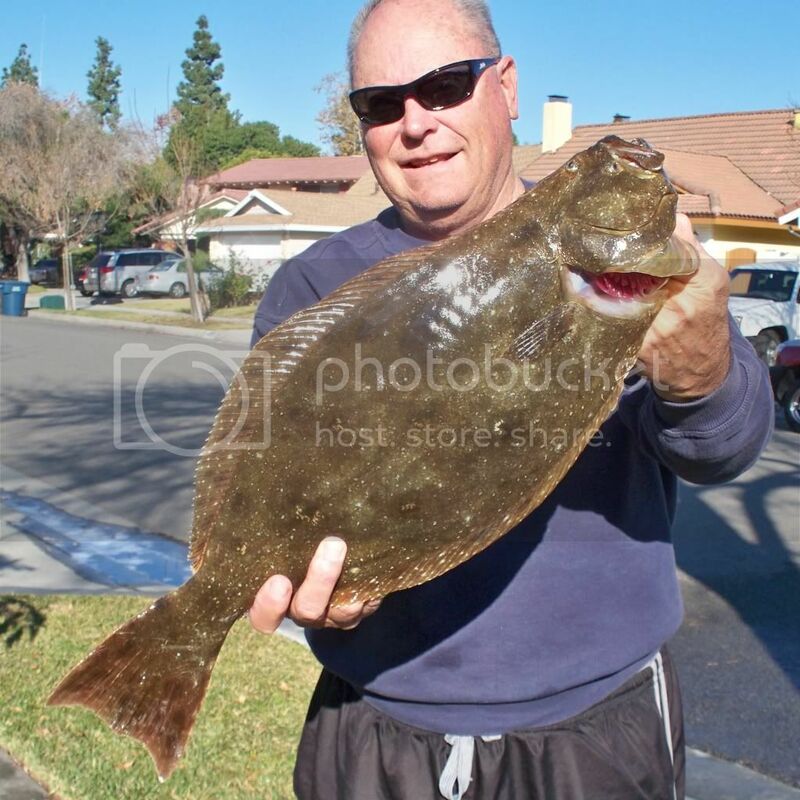 Looks to me like lots of anglers this week scratched that itch and found the targeted species, thus it is going to be Fish Tacos on the menu for New Years? 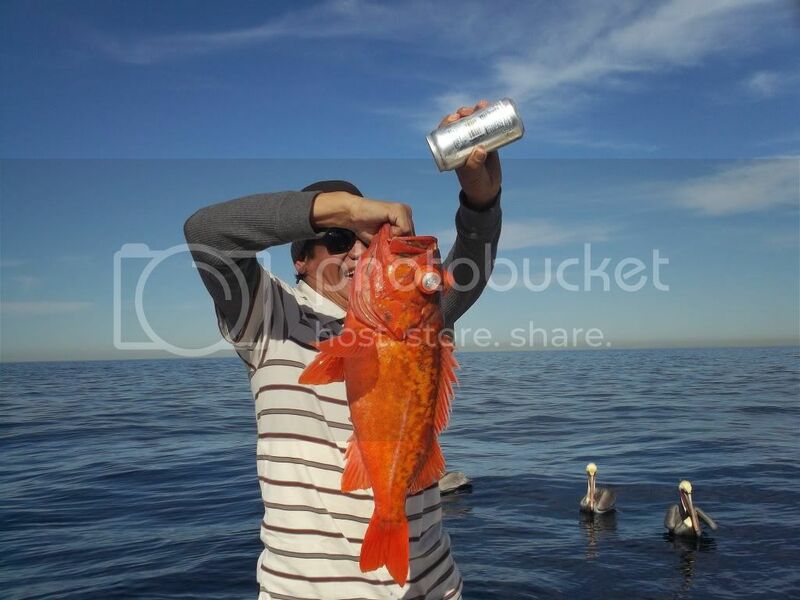 No more news on the winter runs of Yellowtail south of the border. The previous week the Pacific Voyager ran a 2.5-day trip to Colonet over the weekend and they caught 11 Yellowtail to 28 pounds, mostly on Yo Yo Iron. Twilight fishing: Not recently, just wait until summer? 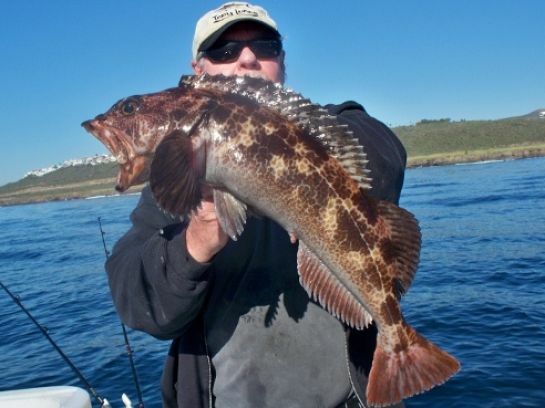 Both the New Del Mar and Spitfire had near limits of Sculpin and Rockfish, on their Thursday, 12-29-11 trips, with five Lingcod caught between them. 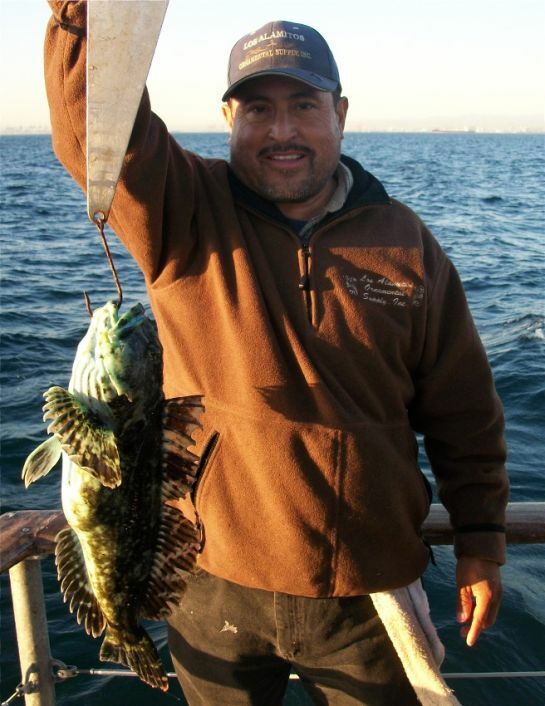 The ½ day boat Southern Cal had one great day of Sand Bass fishing on Saturday, Christmas Eve, on their morning trip, where 11 anglers caught 110 Sand Bass (limits). The Pursuit out of 22nd Street Landing is still running successful trips to the Catalina, with sensational fishing and weather on their Wednesday, 12-28-11 trip. The 45 anglers caught 1 Calico Bass, 50 Sheephead, 85 Whitefish, 90 Bocaccio (limits), 216 Rockfish, 1 Lingcod, 87 Perch and 77 Red Snapper. The Freedom is running one last trip to San Clemente or San Nicolas tonight, all aboard. The Indian is running full day Rockcod trips to the Finger Bank and Points south of the border. They had limits around on Wednesday, 12-28-11, for 22 anglers. The weather forecast for the weekend is on a roll, excellent for the Holiday extended weekend Saturday, Sunday, and Monday. Always check the latest forecast before leaving the dock. Wishing everyone a Happy New Year and fabulous 2012! Ho Ho Ho, Merry Christmas and Happy Holidays to everyone! OK, all you anglers hoping for Rockfish in your stockings, you have one more day before Christmas to fulfill this wish, albeit the wife and family might take issue, if you spend Christmas Eve on the water, better be home early? The weekend weather was at its best on Saturday, with calm seas, clear skies and balmy daytime temperatures, after the early morning chill (Brrrrr), below 40 in many areas, which was eventually replaced by hearty sunshine. Consequently the private boaters were out in better numbers than have been over the last few months. 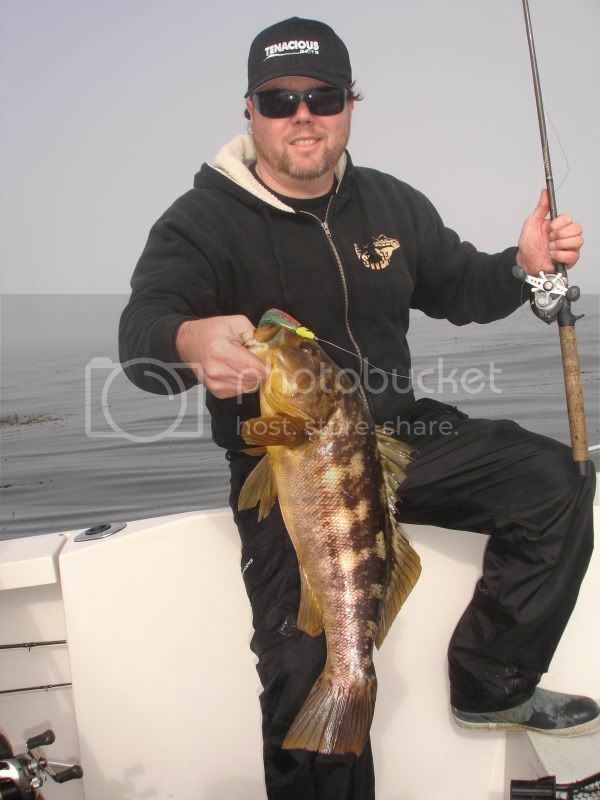 The various anglers targeted local Sand and Calico Bass, Sculpin and of course Rockfish in both deep and shallow water. 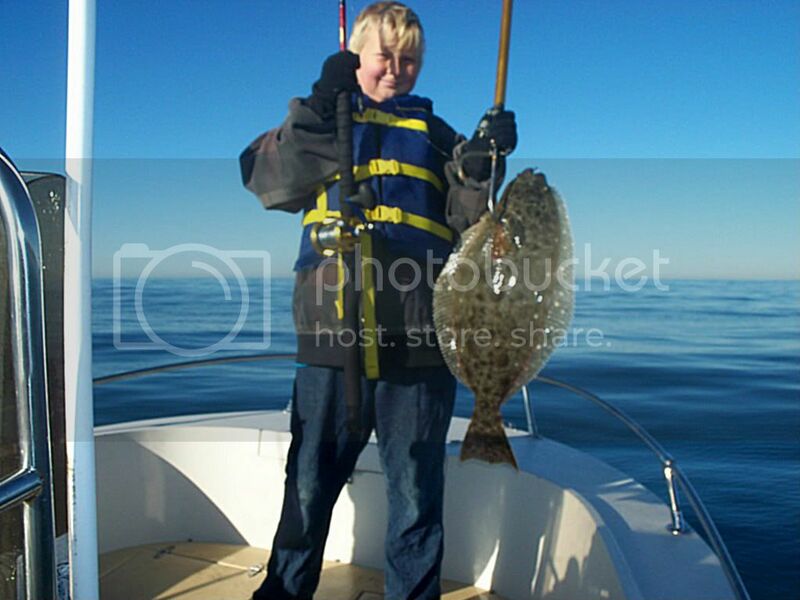 Halibut have been caught on a more consistent basis lately, a pleasant surprise this time of year. 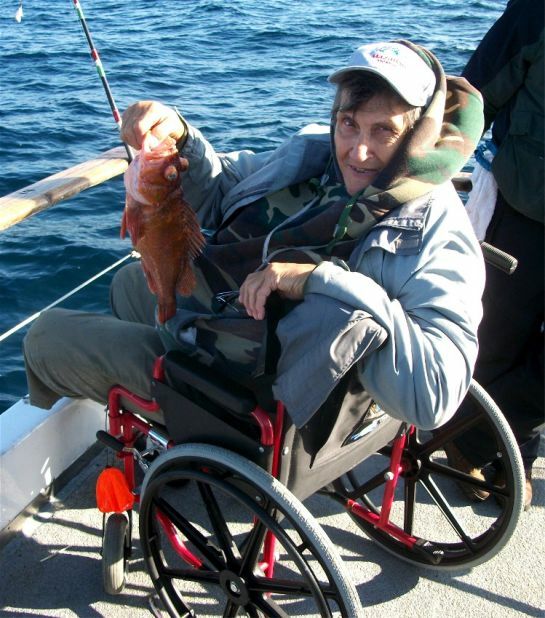 The encouraging part of this scenario is come January 1st, Rockfish, Lingcod, Whitefish and Sheephead are off limits until March 1st, 2012. That doesn't leave many species to fish for besides Bass, Sculpin, Perch and Sand Dabs. So adding Halibut to the mix, adds some much needed spice to the action. 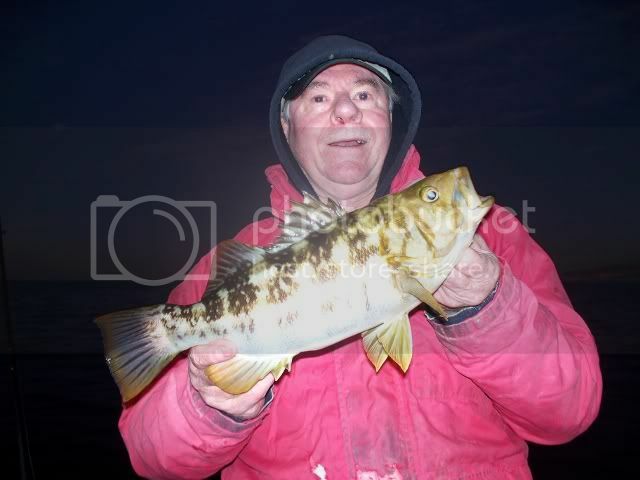 I maybe wrong, because my memory often falters at this age, yet I can't remember such a consistent bite locally for Sheephead. 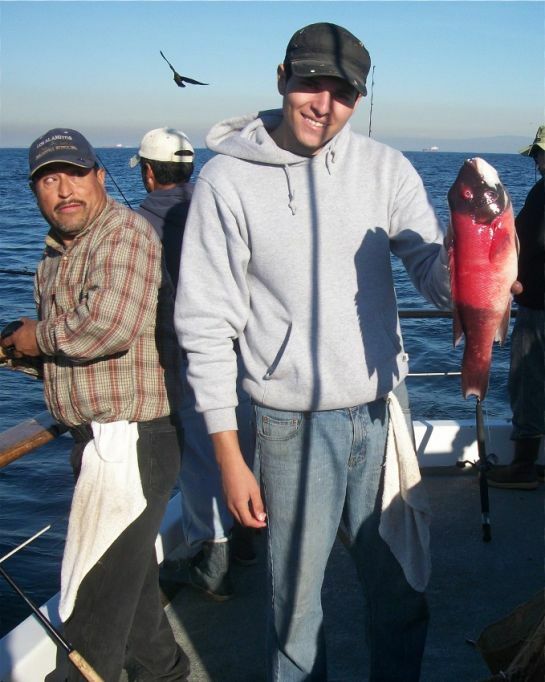 Not only do Sheephead seem to be plentiful, they are definitely on the quality side of things, with so many males in the 4 to 5 pound range, and the occasional over 10 pounder coming aboard. For those of you who don't know this fact, all Sheephead start out as females, and then gradually convert to males. Females are pinkish in color or at least mostly red and pink, while males tend to be Black, Red and White. 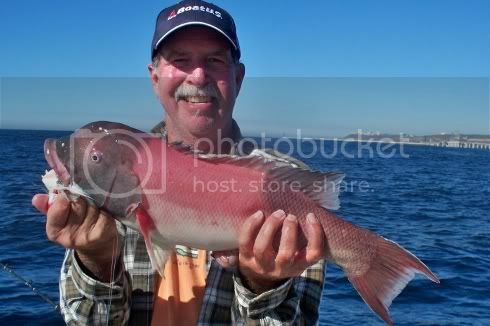 I have caught male Sheephead all Black and all Brown in color too. I strongly urge everyone to release all the females, so they can spawn. Most of the females are on the small side anyhow. 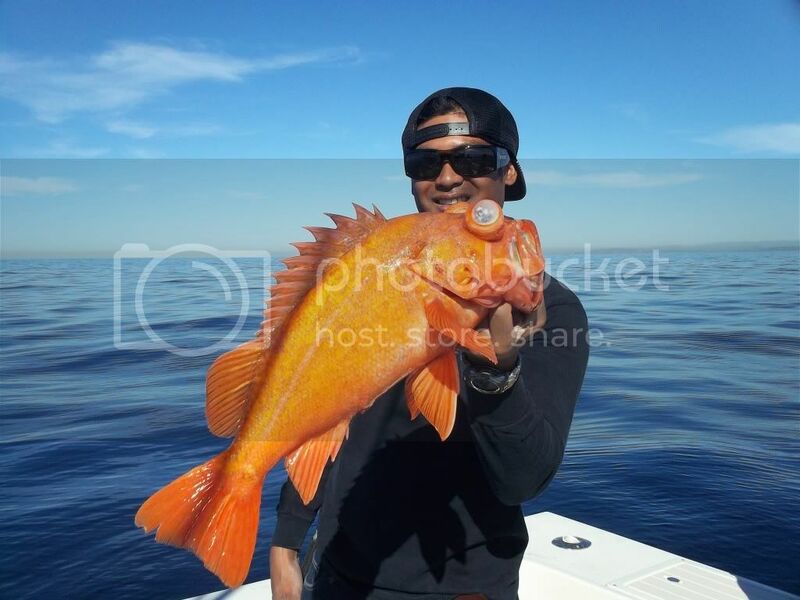 For example the ¾ day Enterprise out of Long Beach Marina Landing caught 53 Sheephead on both Friday and Sunday last week, while most other days contained some counts of Sheephead. The ¾ day Victory out of Pierpoint Landing caught 21 nice Sheephead on their Wednesday, 12-14-11 trip, with most other days also having success on this species. The ½ day boat Monte Carlo out of 22nd Street Landing caught 58 Sheephead on its most recent trip. 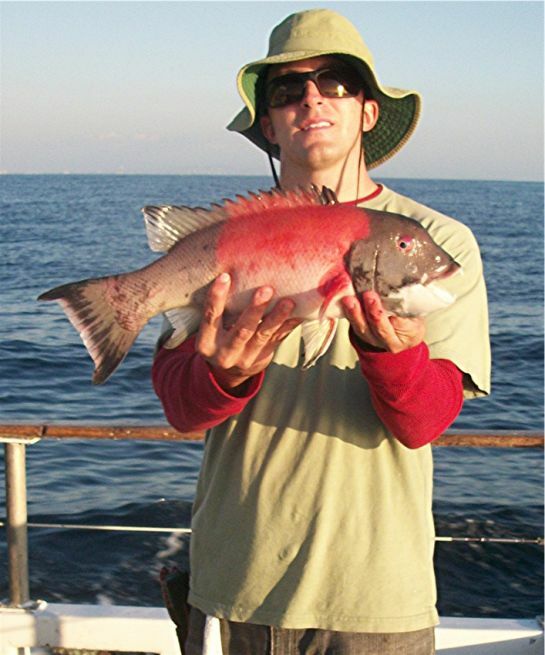 Catching Sheephead: My preference is rigging up with a double dropper loop, using 4' of 20 to 25 lb. line, two 3/0 Octopus Hooks (longer shank), spaced 18 inches apart, very sharp, a barrel swivel at the top, and a snap swivel at the bottom so you can change weights when needed. Always start off with as light a sinker as possible to get you to the bottom, perhaps a 2oz torpedo sinker, then move up in weight as necessary to hold bottom. I believe a lighter sinker enables a better presentation of the hooks and bait to the predator? The preferred bait for Sheephead is either Squid (fresh dead if possible in 3" strips) or medium sized Shrimp. 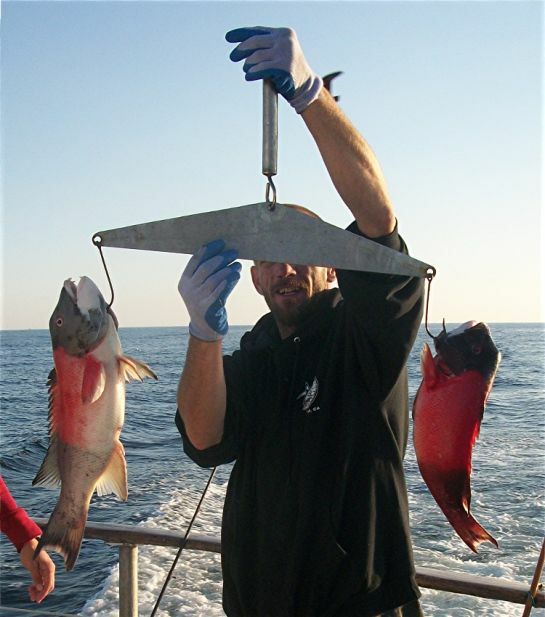 You can catch Sheephead on whole squid, live if available; however, the hook sets are more difficult, and in most cases you tend to get fewer bites. Use strips of fresh dead squid in lengths of approximately 3 inches in length and 1 inch in width. I always put the hook through the end of the strip at least twice and often three times, as this limits the stealing of the bait by the fish. This tackle technique works well for Whitefish and Rockfish too. If you don't like double hook rigs a single will work very effectively, although on a single rig I prefer to lengthen the leader to the hook from about six inches to ten or more. The longer leader tends to float the bait in the current for better presentation. If I am using live Anchovies for bait, I prefer the single hook rig. I have seen days where a live Anchovy is far preferred over Squid or Shrimp as bait. I have caught Sheephead with Plastics and Iron, tipped with squid, although not on any consistent basis, only as an accidental catch. 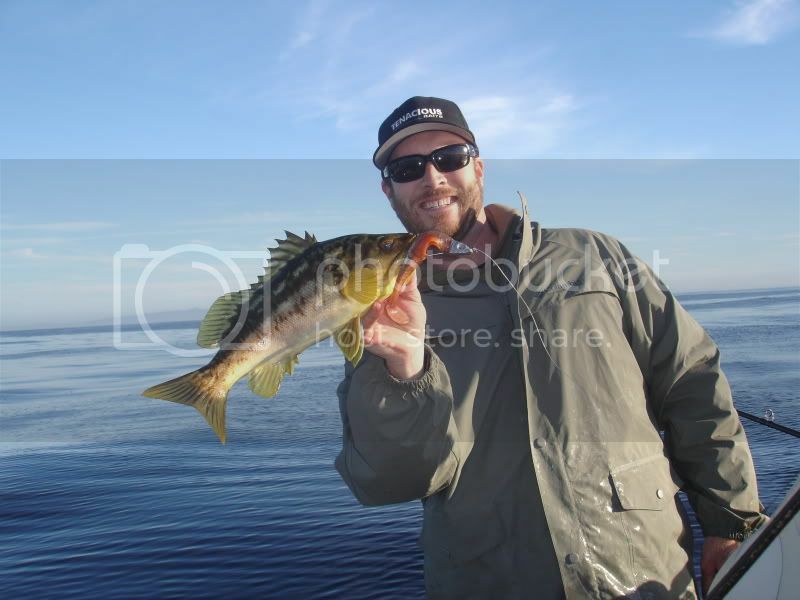 Lately I have caught more and more Sheephead on squid tipped Lucanus or similar lures. For table fare I love Sheephead poached or steamed. They are often referred to as "poor man's" Lobster, as when cooked this way and dipped in butter, can be very tasty, with a close resemblance to Lobster in taste and texture. Just use your imagination. Try baking a whole fish or the filet, covered in butter, onions, mushrooms and fresh Spinach Leaves, and wrapped in tin foil, yum yum! 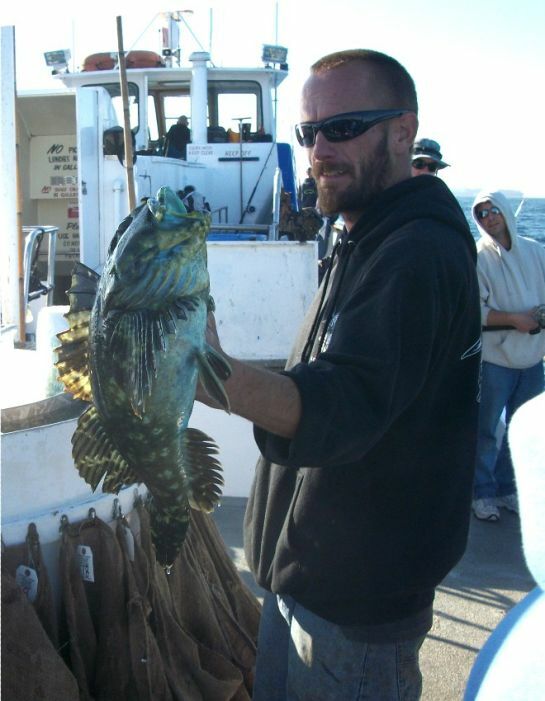 Twilight fishing: The Slammer out of Redondo Sportfishing is still running combo trips, hooping and fishing with 4 anglers catching Sand Bass, Rockfish, Sculpin, Lobster and Rock Crab. The cold nights are keeping most folks at home. 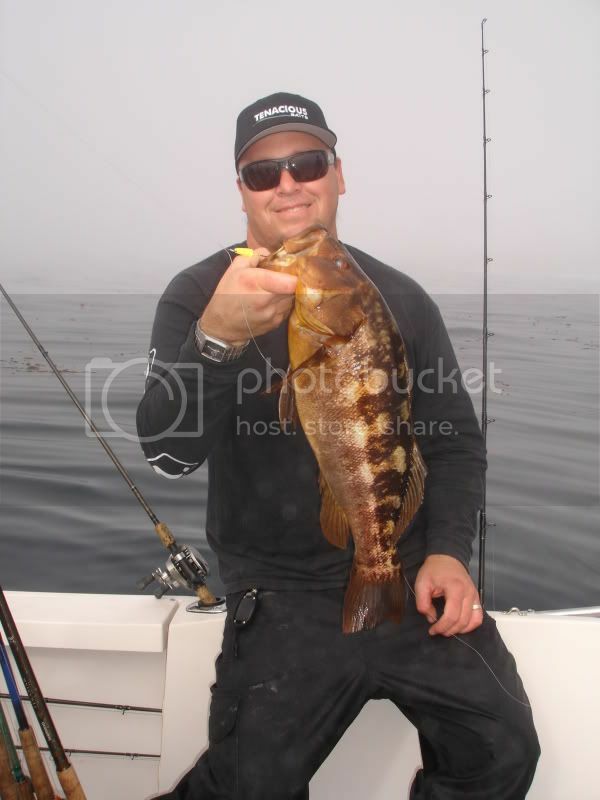 Most of the boats are targeting Sculpin and Rockfish, with a smattering of Lingcod adding to the fun. 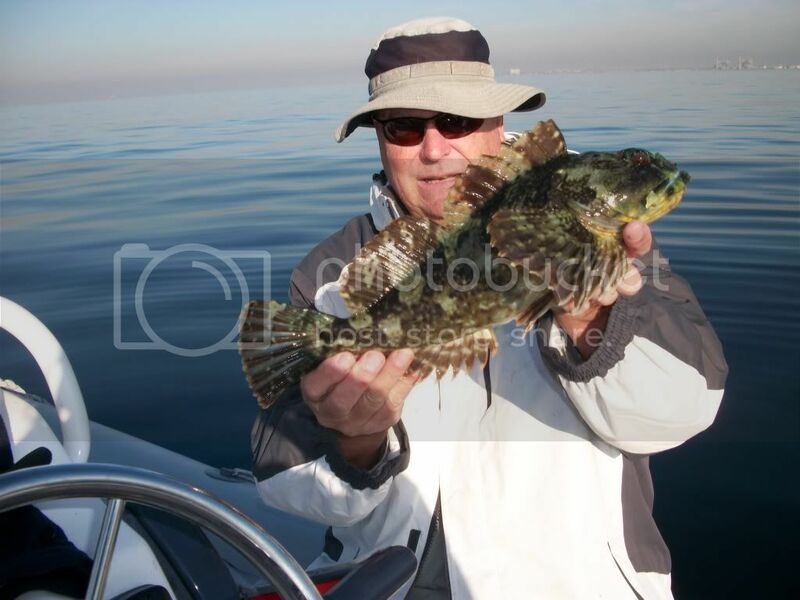 The objective is to achieve limits of both Sculpin and Rockfish, and when accomplished every now and then, there are lots of happy anglers. 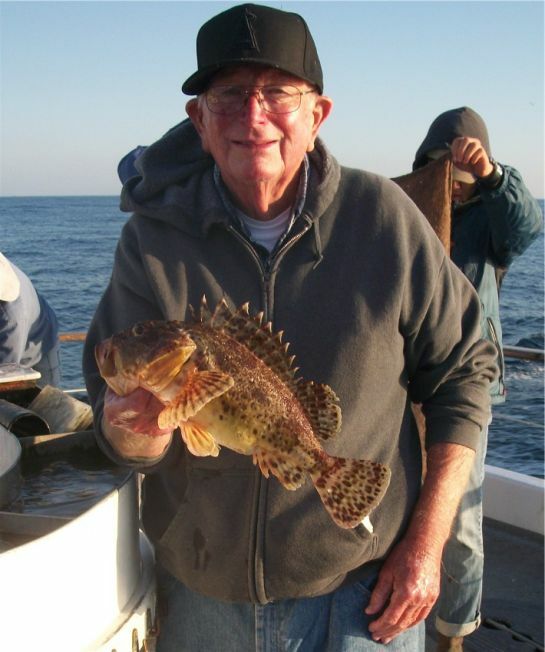 Occasional good counts are reached on mixed Bass when live squid is available, otherwise mostly Sculpin and Rockfish are being caught. Private boaters targeting Halibut have had some success in this area. 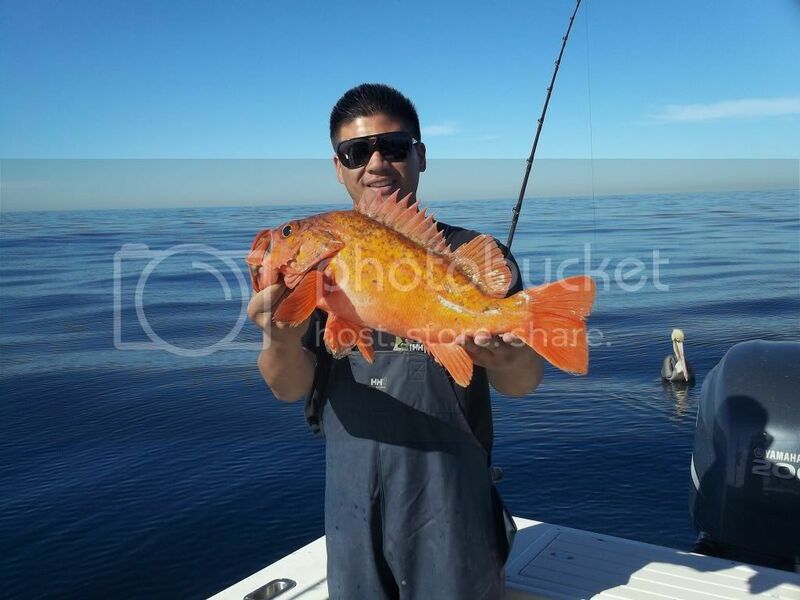 Private boater Steve fished on Saturday, 12-10-11 out of Long Beach, with family, wife Annette and son Nicolas. 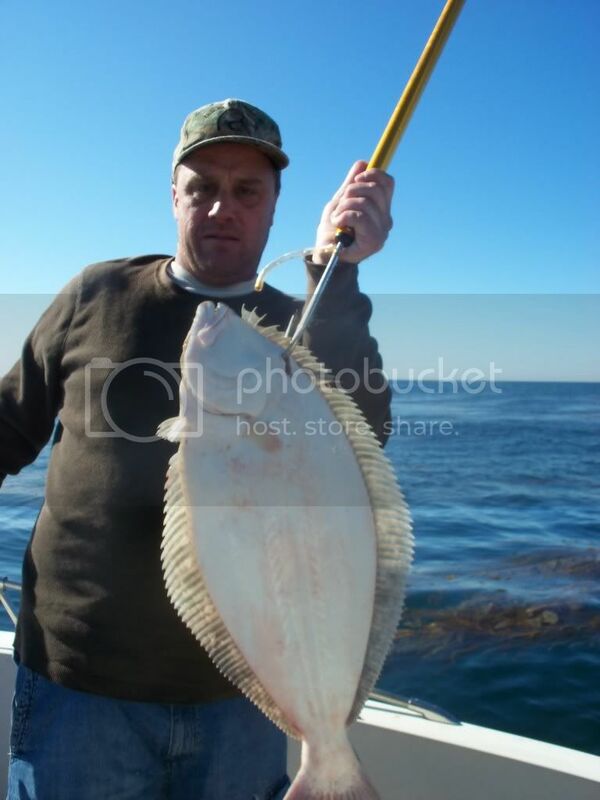 It was a slow pick on the Bass; however, Nicolas caught his personal best Sand Bass on squid. The Pursuit out of 22nd Street Landing is still running successful trips to the Catalina, with great Rockfishing and assorted other species being caught. 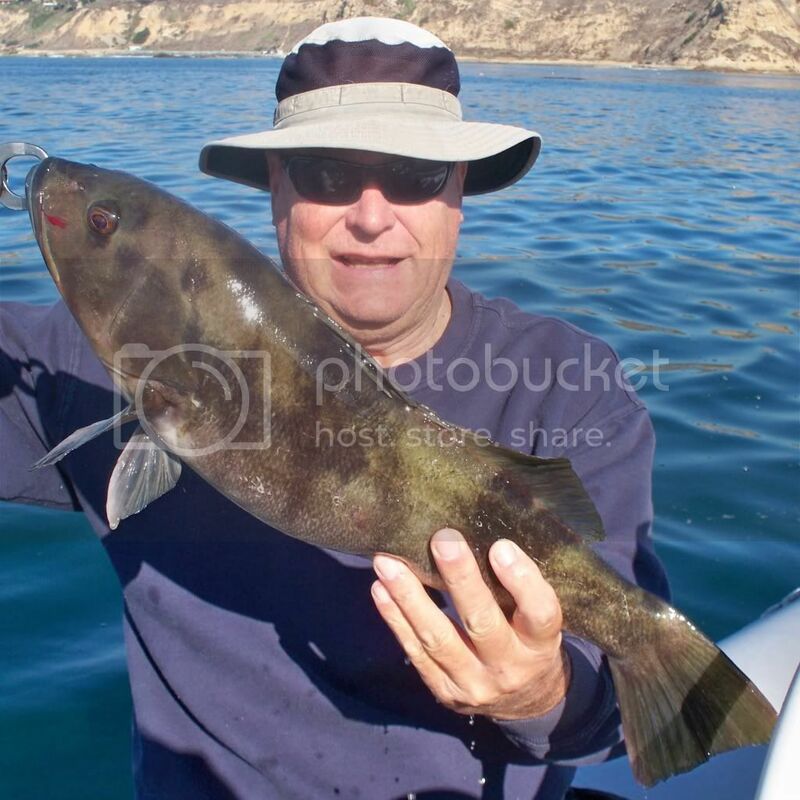 Both the Toronado and Freedom have been running trips to San Clemente in between San Nicolas trips and most trips have been excellent for Limits of Rockfish, some Lingcod, Whitefish, and Sheephead. 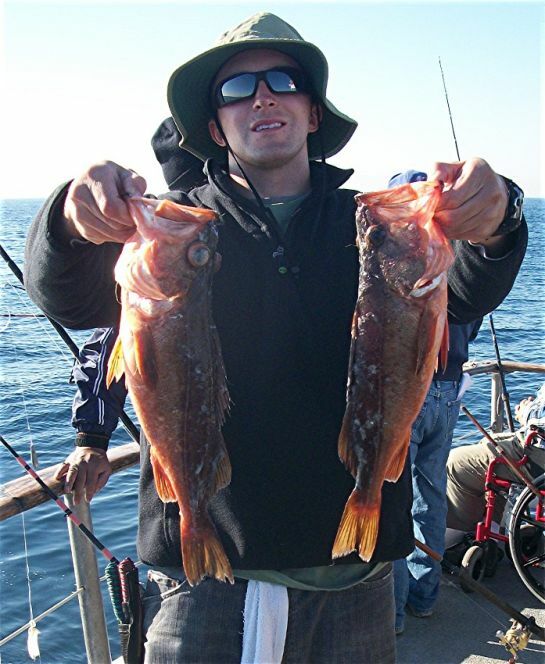 The Pacific Voyager ran a 2-day trip south of the border returning on Sunday, 12-11-11 and the 17 anglers caught limits of Reds both days, 45 big Sheephead, 14 Lingcod and 111 Misc Rockfish. 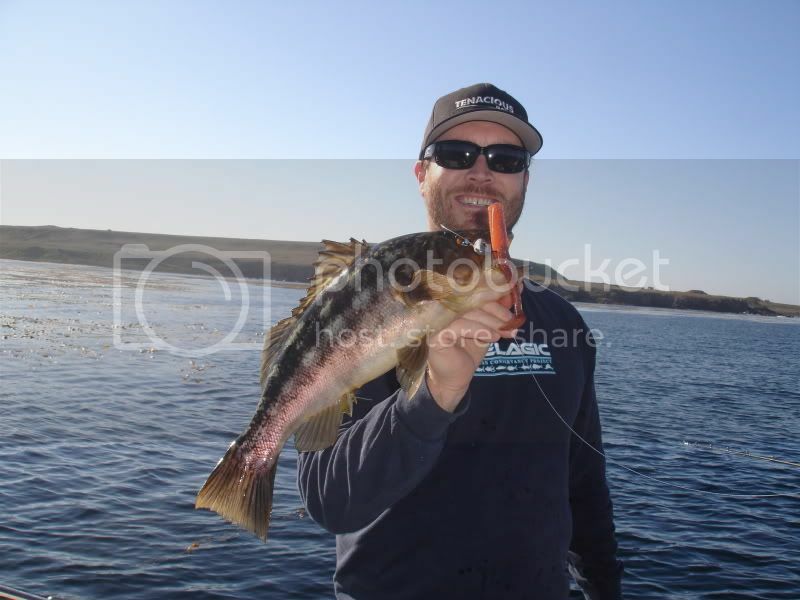 During the months of January and February south of the border will the only options left for catching and keeping Rockfish. 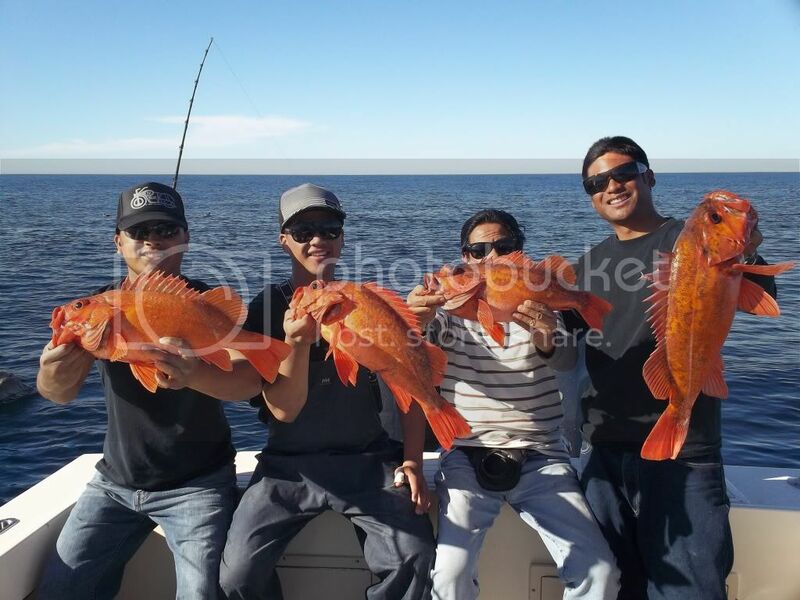 Often come January the high spots around Colonet or Santo Tomas start yielding big Yellowtail, which becomes a bigger draw for trips south of the border. WeatherThe weather forecast for the weekend looks breezy on Saturday, with slight chance of rain, and very nice on Sunday. Always check the latest forecast before leaving the dock.